Happy Saturday everyone. I hope your weekend is off to a good start. Today I have my weekly faves for you and it's going to be a wordy, skincare heavy one today. So grab a snack and a drink and let's get into it. 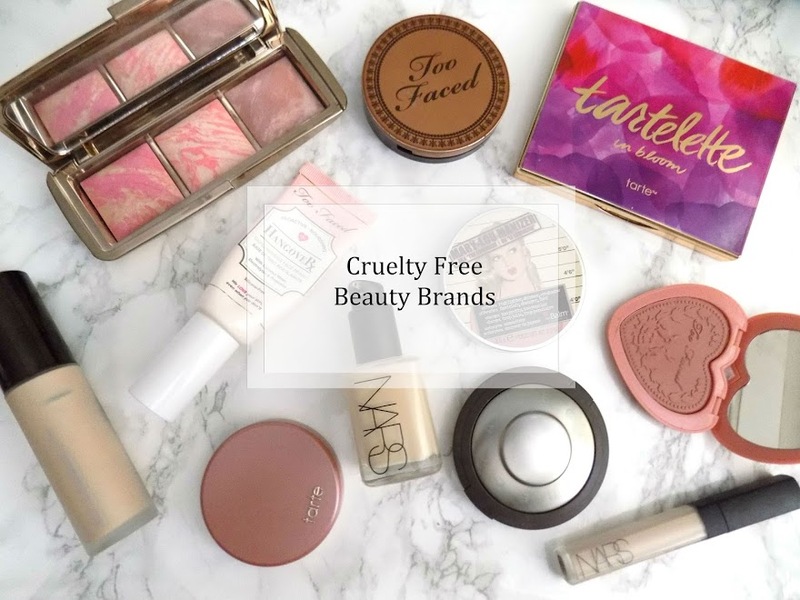 I am still loving the products that I mentioned in last weeks round up so if you want to check that out then you can see that here. I'll start with the few makeup products first. I am loving the shade Leader from the Tarte Tartelette In Bloom Palette *. It has a slight purple tone so it gives my everyday eye look a bit of a twist. The shade Rocker is also a favourite, with this on the lid and then Leader blended along the lower lash line as well as the outer corner and into the crease for an easy everyday smokey kind of eye. I love how it looks and this is a super fast and easy eye look for everyday. I am still loving the Freedom Priming Water which I apply before I put any of my makeup on. It's great for these colder days we have now as it hydrates and helps my makeup stay on and looking as best as possible. Alright now on to the skincare and the No7 Melting Gel Cleanser has been incredible for my skin this week. My skin has never felt to soft and I just have to use this when my makeup is all removed - even though it removes makeup super easily and efficiently. I use the Konjac Sponge with it too to make sure all my makeup is off. This is a gentle combination and my skin has never felt so amazing and clean. I've been trying out the B. Revealed Glycolic Cleansing Face Peel which I picked up from Superdrug last week. I am trying to find cheaper skincare to replace what I have run out of and I've never tried something like this which is basically a 3 minute treatment that you apply onto your skin, leave for 3 minutes and then rinse off. It doesn't irritate my skin and I have used it about 3 times this week and it's an incredible product that I just had to mention. 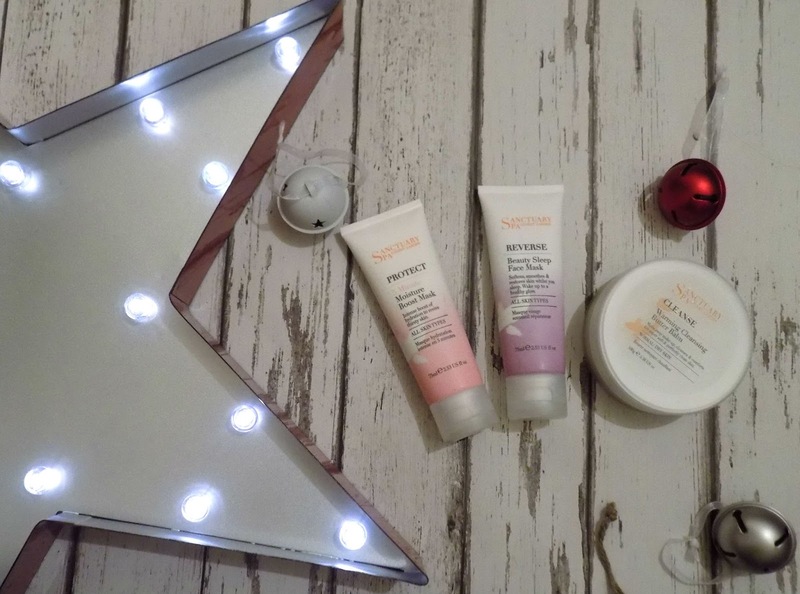 Continuing on with my Sanctuary Spa skincare kick, I have been trying out more of their skincare products and wanted to let you know what I have been trying out and fallen in love with already. First is the Warming Cleansing Butter, which is basically a thick balm which when massaged into the skin, melts down to an oil and removes whatever makeup and dirt is there. It's quite a lot thicker than other balms that I've tried but it's very similar in texture to the Oskia Perfect Cleanser which is also a really thick luxurious texture. 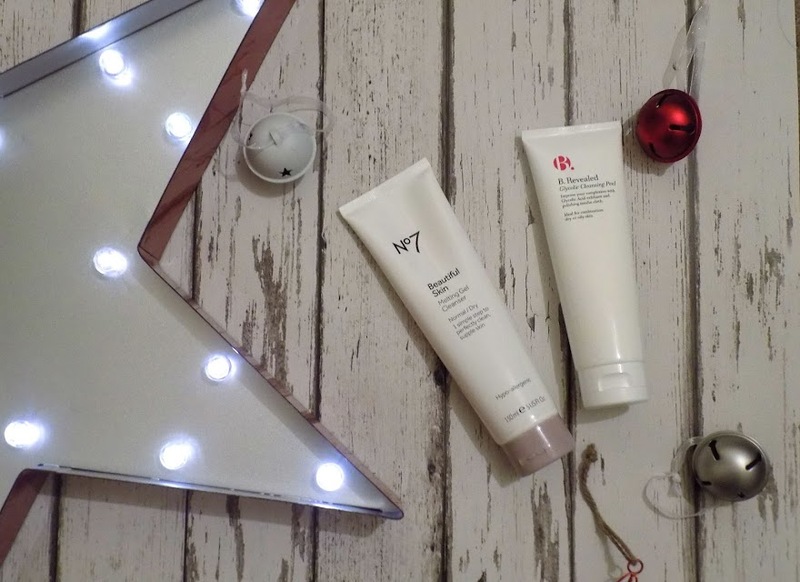 I have also been trying and loving the 5 Minute Moisture Mask which can be left on for 5-10 minutes or as long as you like, or you can apply before bed and then remove in the morning. My skin feels soft and plump and also looks glowing and amazing. The other product I have been trying out is the Beauty Sleep Mask which is basically a product that rejuvenates and hydrates the skin overnight allowing your skin to recuperate from the daily stresses and environmental battles you face on a daily basis. This makes my skin glow like a beacon and my skin feels so soft and healthy. Since using these new skincare products along with the ones I mentioned last week, my skin has never felt so soft and smooth and healthy.It glows like never before and I cannot wait to do my review on this brand. 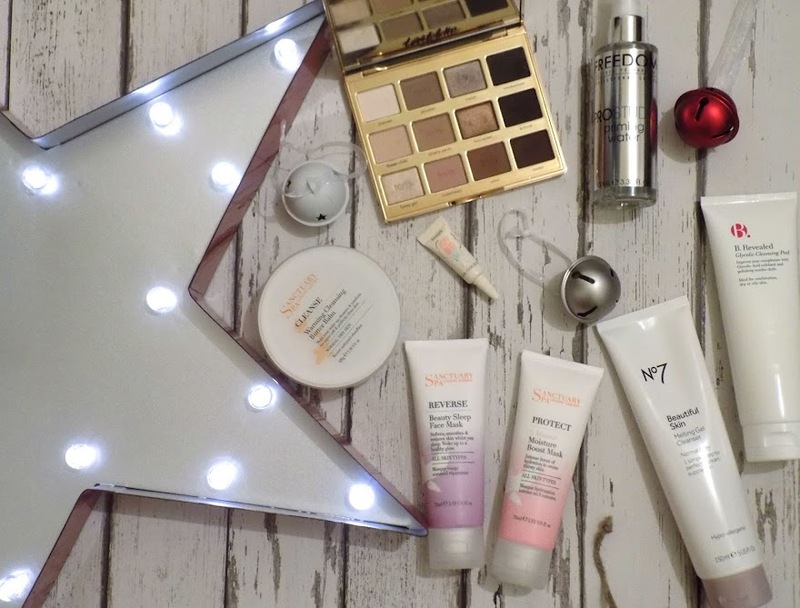 I cannot fully recommend these products because I haven't used them long enough but so far, my skin is reacting really well to them and I think I have found so many dupes for my more expensive skincare products which is great for my bank balance, so I will share them as soon as I am confident to recommend these products. If you have tried anything from Sanctuary Spa that you recommend I would love to try it too. This week I have been at my boyfriends house helping unpack and sort out the new house he is in. 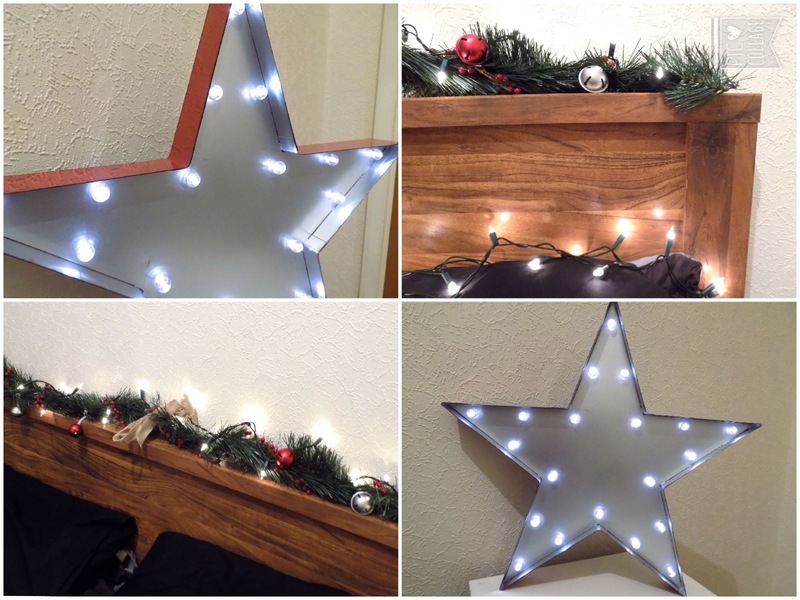 So I was given £25 to add some Christmas cheer into his bedroom, and I did it in less than £25. I did a post on it which you can see here, but I am so in love with the decorations that I will be purchasing the same stuff for my room too. 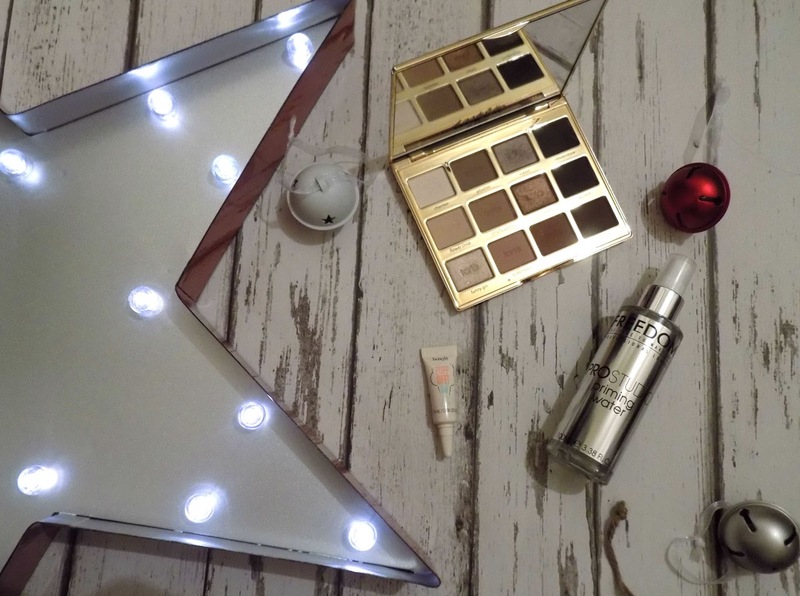 I did a DIY Garland which looks awesome, and then I also found this light up battery controlled Star from a little store called Home Bargains and RRP was £30 and I got it for £9.99 so it's a complete bargain and I am obsessed with it. 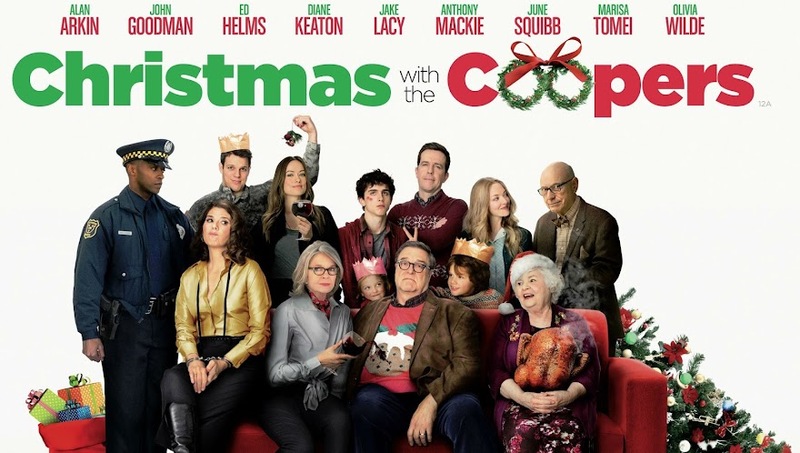 I went to see Christmas With The Coopers this week at the cinema and it was amazing. The cast, the stories, they were awesome and I demolished a whole tub of popcorn to myself which was incredibly tasty and I don't regret it at all. 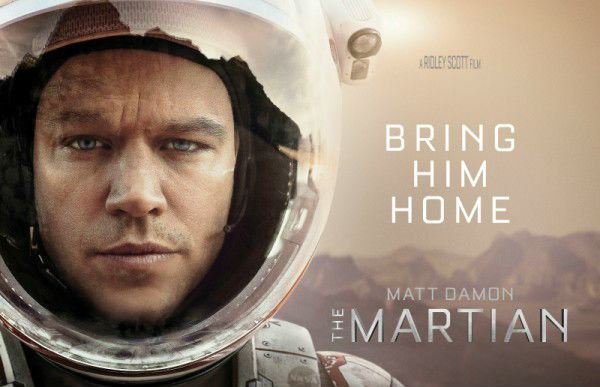 This movie however, The Martian staring Matt Damon was possibly the best movie I've seen all year. I know that's a very strong statement but this was such a great movie. Very long, 2 and hours, but such a great movie and I have a feeling I will be watching this over and over again. Highly recommend seeing this if you haven't already, and if you have seen it, go and watch it again. That's it for today's favourites, I hope you all have an awesome weekend and if any of you are like me and leave the bulk of your Christmas shopping until the week of Christmas, then good luck in the hectic-ness that is late Christmas shoppers. What are your favourites from this week? *Disclaimer: Any affiliate links are marked with an * but all opinions are 100% my own honest thoughts.